Someone said “you’re a leader not when you say you are, but when you look behind you and someone’s following.” I wouldn’t disagree, assuming you have an interested audience. On the other hand, I would propose one’s selfless resolve to do right in the face of adversity a leader, with or without followers. The likes of Napoleon and Custard come to mind when we think of leaders. However, considering their followers ended up on the wrong end of firing squads for retreating, let’s consider a different kind of leader. Christ led not because his conquest was in front of him, but because he unconditionally loved who was behind him, and for no other reason he became the greatest leader of all time. Consider God’s leadership style; first he lies us down to rest, to get refreshed. Then he leads us, then guides us and finally sets us free to choose our own steps through this chaotic life, but never abandons us. 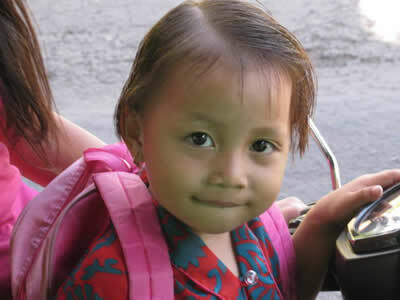 AHFC began leading this outreach in 2006 with no other motive but to unconditionally love and offer tangible help to as many children as possible in Indonesia. We felt called to do this. Today AHFC has become a pillar of light and refuge for hundreds of needy young lives throughout that region because of your generosity. I write this particularly to you who have partnered with AHFC through prayer and support. Words are not adequate to thank you for taking a leading roll and becoming an instrumental part of this ministry and family. God is indeed using you for his name’s sake. Ps…, Close your eyes for a moment and imagine; now look behind you, you’ll see hundreds of smiling children following with hope in their eyes. Before our Bali Training Center opened, A Heart For Children’s main focus was assisting Christian orphanages with funds for food, medical attention, housing and education. 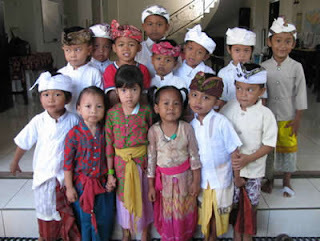 This was all done within the protective environment of the orphanages, where we could share our common faith openly and without fear of outside religious or political reprisal. 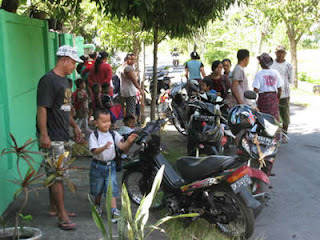 Bali and local government officials as well as the Hindu village chief and neighbors have been skeptical of our motives over the past 2 years. 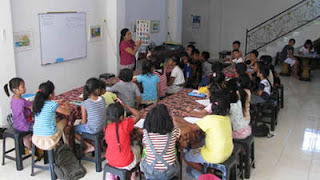 Slowly and with genuine concern for the future and welfare of their children, we have gained their confidence and are now an integral part of the community. 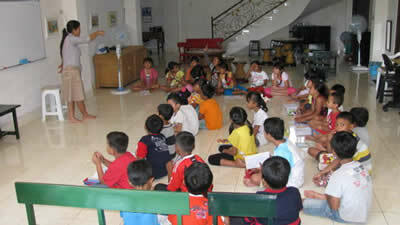 Out of the 178 students registered in our programs only one has had prior contact with a foreigner. When the children first started attending classes they were extremely shy, some would even cry and run away when they saw me. They would not look at me when I spoke to them. Even if they understood the message to respond, they were afraid to answer. And when they did speak, it was so soft I could not hear them. In short, they were frightened of me. I have worked on making eye contact…..worked on my facial expressions and soliciting verbal responses… showed them how to use a Western toilet…..lifting the lid, flushing it… and not standing on the bowl. I’ve worked at perfecting body language and mime skills to compensate for my lack of language speaking skills. Thankfully it has not been in vain. For the parents to bring their children to the Training Center ….it is a great honor for our organization and for our Faith. They trust us. Parents tell us there has never before been anything like the Training Center …..because we give and do not take from them like others do. They tell us that their children talk about the Training Center day and night and want to be there. 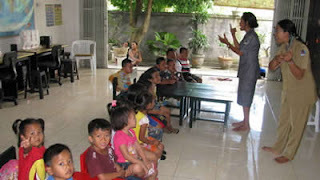 We thank you all for your prayers and for your financial support, which makes The Bali Training Center and our other ministries here in Indonesia a reality for the children we are caring for. Komang is ready to leave her mom’s motorcycle and start class. 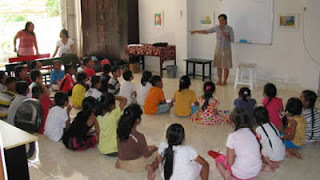 Grade 1-4 students meet together before being divided up into beginning and advanced English classes. Outside the green walls of The Center, the parents wait to pick up their Kindergarten children.